Raid your old man’s mini bar or liquor cabinet and in all likelihood, you’ll find a bottle of whisky. For centuries the drink has become synonymous with class, elegance and success, and it’s a drink that accompanies many celebrations and milestones in a person’s life. For some reason, whisky is popular with men of a certain age, but Chivas Regal wants to change that. 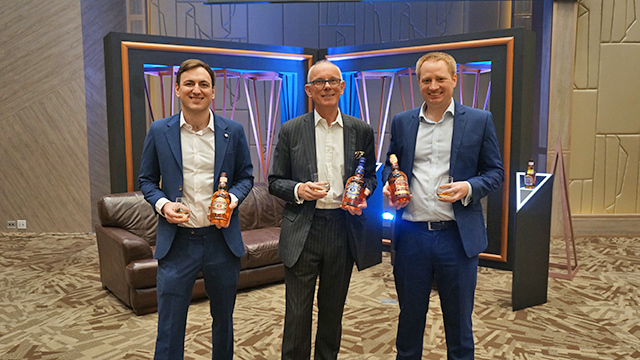 The Scottish whisky brand wants newer generations to enjoy its blends in more exciting ways, which is why it held an event in Manila recently and flew in two very special guests—its legendary custodian master blender Colin Scott and Chivas Regal blender Kevin Balmforth. 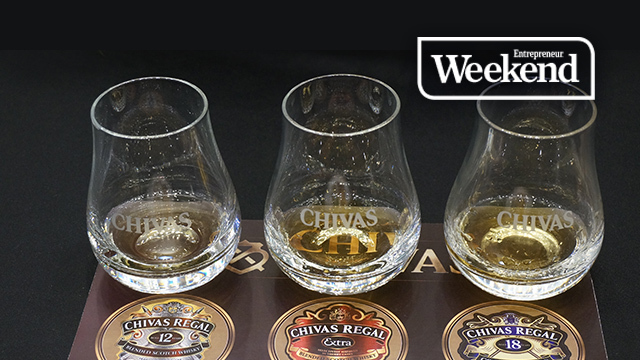 The two blenders led the nosing and sampling of three of Chivas Regal’s best blends—the Chivas Regal 12, Chivas Regal Extra, and Chivas Regal 18 Gold Signature. Scott and Balmforth took turns explaining Chivas’ rich history, which started in the 19th century. Scott, who has been making blends for more than 30 years, explained how they were able to preserve Chivas’ distinct taste. The key, he says, is their enormous whisky inventory composed of hundreds of barrels of whisky, each with its own unique taste depending on its age, cask material, location and many other factors. Chivas’ signature taste and scent, Scott added, is the reason why it continues to be the drink of choice for successful businessmen and entrepreneurs. Those who have notched achievements in their own lives can also relate to Chivas’ process of always trying to innovate while still being cognizant of past experiences—a key trait among successful businesses. According to Balmforth, who is part of the team behind the more recent Chivas blends such as Chivas Regal Mizunara and Chivas Regal Ultis, blenders undergo years of rigorous training before they can officially be part of the blending team. This guarantees a level of quality and attention to detail required by even the most demanding of clients. “We do a lot of nosing, because the nose is much more powerful than the mouth. When we’re discerning whiskies, most of the time we’ll nose it, which is probably 90 percent of what we do.” Balmforth shared. Brand ambassador Hamish Houliston said the Chivas 12 has always been the brand’s most popular blend; its fruity, light spicy taste makes it easy for someone new to the whisky world to get hooked. The Chivas Extra, meanwhile is a bit more spicy, but it’s balanced out by a noticeably sweeter taste. The Chivas 18, which is Scott’s personal favorite, possesses an incredible smoothness and slightly more bitter and punchier taste and is best paired with a sweet dessert like dark chocolate. While different from each other, all three have a distinct taste that would make any young professional feel like he really has made it to the big leagues. Houliston says Chivas Regal has been enjoying enormous success in the Philippines but the brand is also eager to showcase the versatility of its blends. 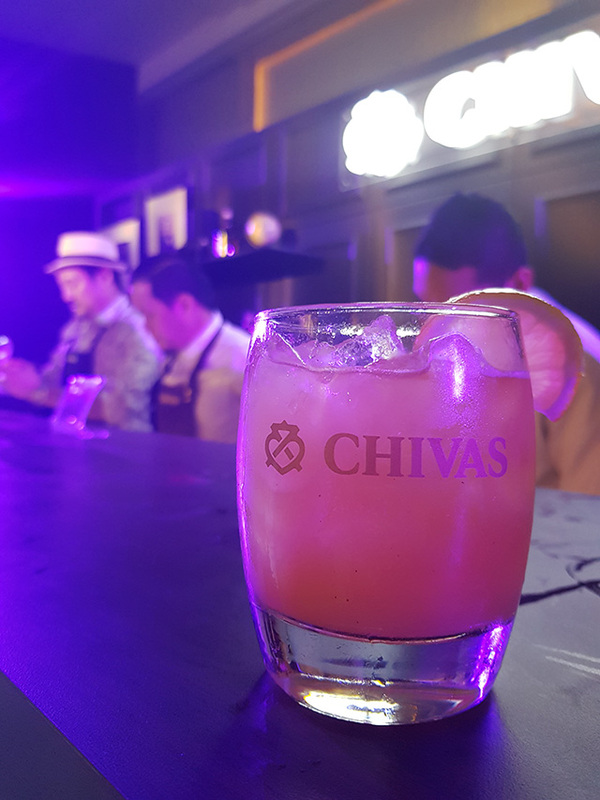 Guests at the event could ask for any of the new Chivas Regal-approved cocktails at the bar, and they could even choose among local fruits like dalandan or calamansi to add to their drink. While purists may object to having cocktails and whisky in the same conversation, Scott, who trains all the blenders of Chivas, disagrees.